The mission of the Fairfield Public Schools, in partnership with families and community, is to ensure that every student acquires the knowledge and skills needed to be a lifelong learner, responsible citizen, and successful participant in an ever changing global society through a comprehensive educational program. ©2019 Fairfield Public Schools. All Rights Reserved. 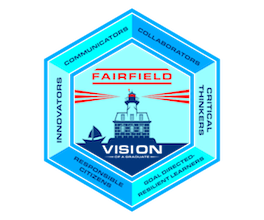 Official Fairfield Public Schools Website for the District of Fairfield CT. Infinite Campus, Calendars, Board of Ed and School Websites.